Strength Not In Numbers, But In Yourself | Ms Moem | Poems. Life. Etc. as they retire to their cocoons. 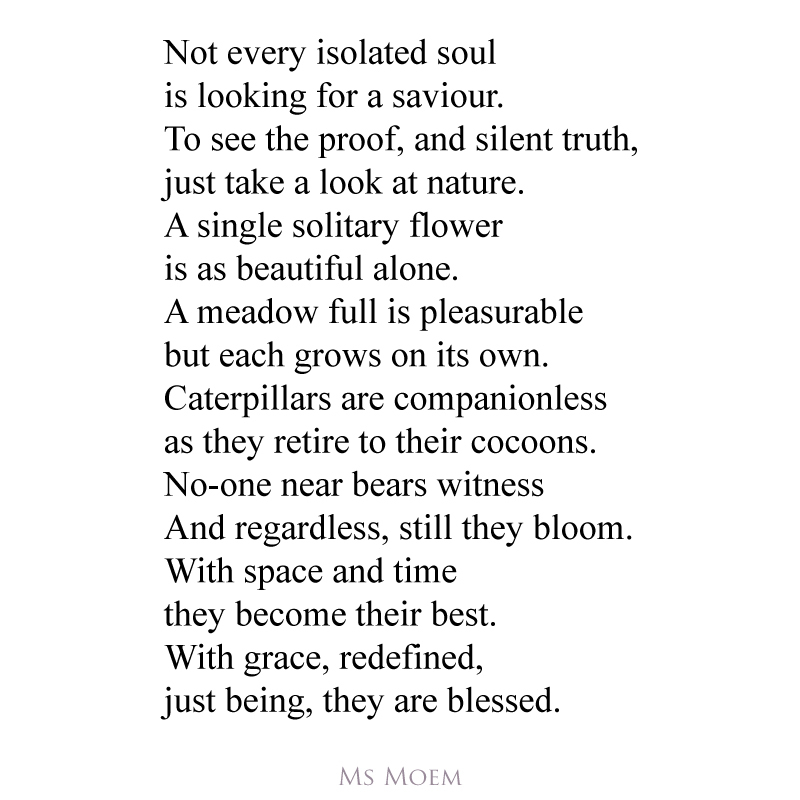 © Strength Not In Numbers, But In Yourself is a poem about life and embracing those times of solitude, written by Ms Moem.